Without question, the congregation at Bishop Cummins REC in Maryland have been among our most encouraging and enthusiastic supporters outside of our home church, Trinity REC. Their heart for missions is very evident. Matt was invited to speak during Bp. Cummins’ summer missions week in early July. Sora was on call for births and was not able to leave Cincinnati, but Matt evidently did a good job of telling all of her birth stories because Pastor Crum asked him to bring the whole family back in the fall. Bishop Cummins has a tradition of celebrating “Christmas in October” with a focus on missions. 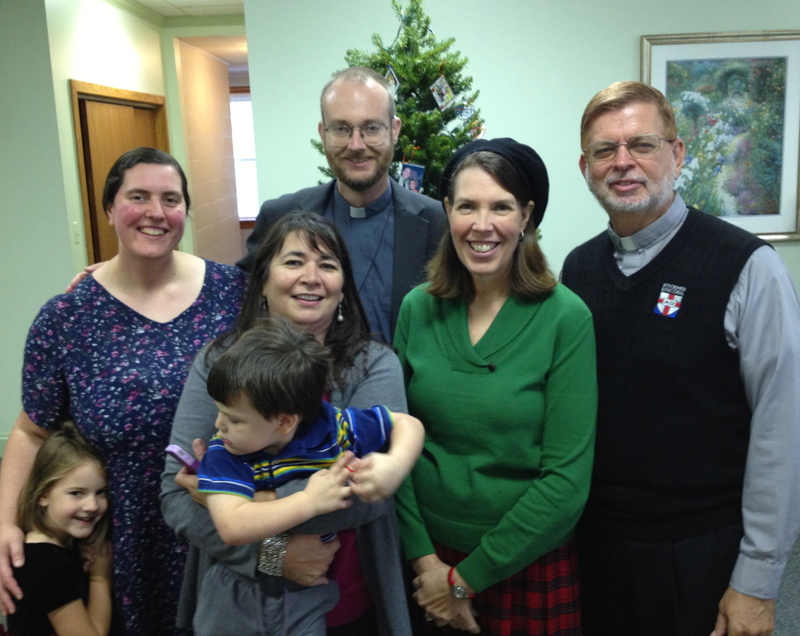 They had a Christmas tree in the narthex decorated with laminated “prayer card” pictures of their missionary families. Our children were quite impressed to find themselves on the tree! 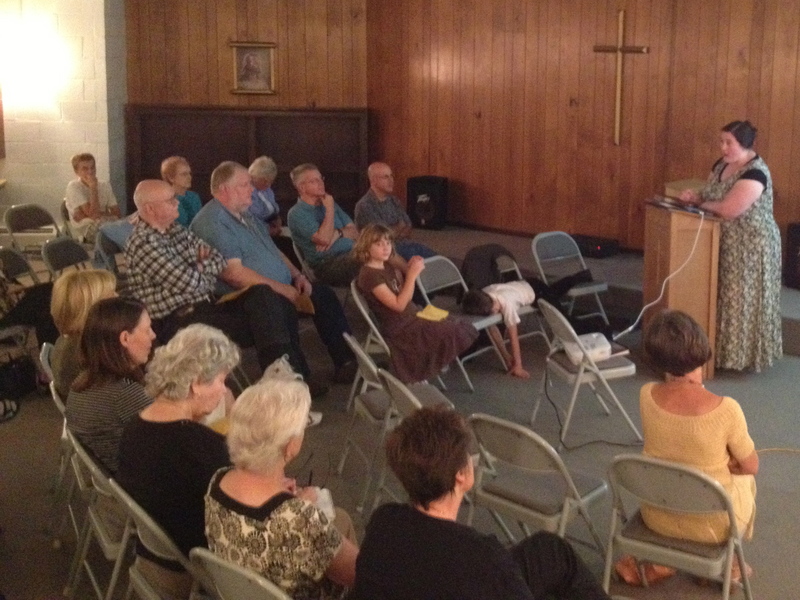 On Saturday, Sora gave a talk about her vision for midwifery on the mission field. Members from Grace REC in Havre de Grace and St. Stephen’s REC in Sykesville were also there to hear her. 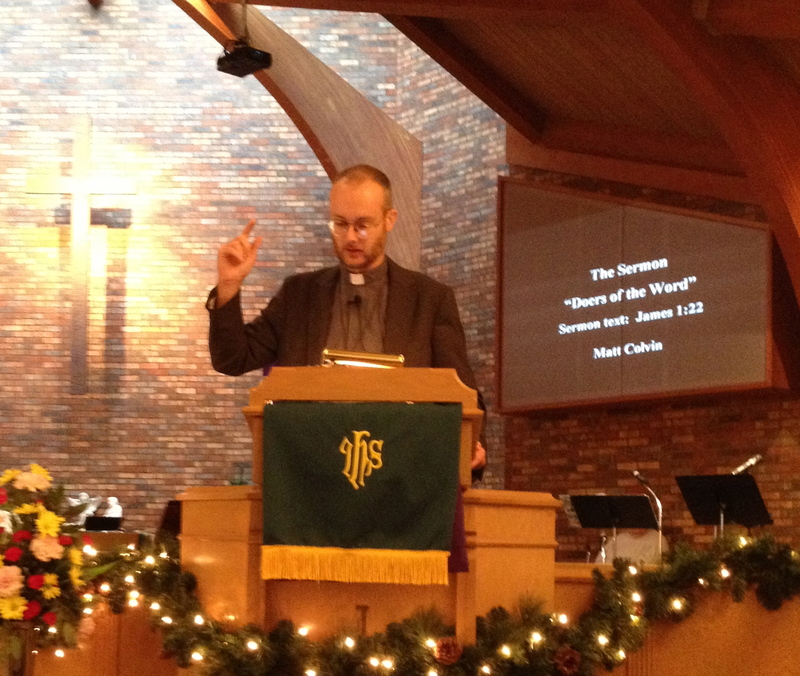 On Sunday, Sora spoke again about our mission during the Sunday School hour before the service, and Matt preached a sermon on James 1:22. We were very glad to see Ron and Nancy Albright, who had hosted Matt when he visited in July; Walter Seymour, who has been a supporter of our mission since he first met Matt; Maria Czajkowski, the chairwoman of the missions committee who first contacted us — not we her! — to invite us to come visit; and of course, the pastors, Cedric Benner and David Crum. The Crums were our gracious hosts, vacating their entire upstairs to give us three (!) bedrooms, and feeding us as only Mrs. Crum can. We hope we will have a long relationship with our friends at BCREC, filled with many good memories of service to Jesus together.